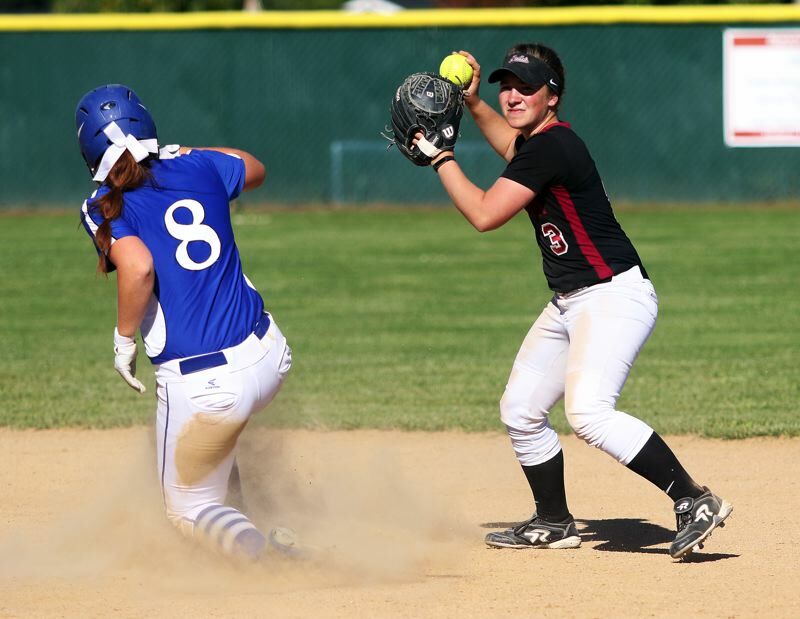 The honors and accolades just keep pouring in for the Tualatin High School softball team. The Timberwolves, who won the Three Rivers League championship and reached the semifinal round of the Class 6A state playoffs, before losing to eventual champion North Medford, were very well represented on the Class 6A all-state softball list. 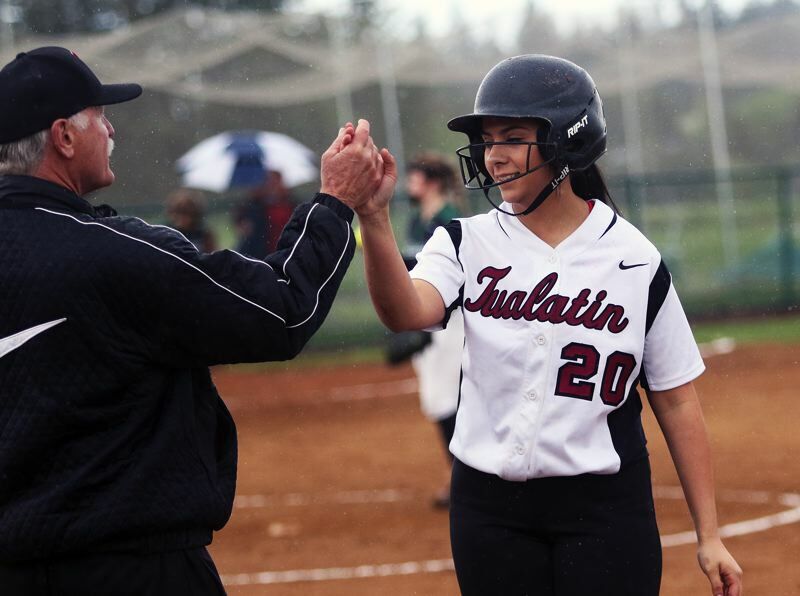 Leading the way for the Tualatin squad were senior second baseman Amanda Reser and junior outfielder Zoe Olivera, who were both Class 6A all-state first-team selections. Reser, a four-year starter for the Timberwolves, had a banner 2017 campaign, where she was previously named the Three Rivers League Player of the Year, as she helped Tualatin go 24-4 on the season. For the season, she set a new Tualatin single-season record with 54 base hits, while batting for a .466 average. She also set a new Tualatin single-season season standard with 116 at-bats while also scoring 44 runs. Reser also shined with the glove at Tualatin. As a junior, she didn't commit an error all season while starting at second base for the Wolves. Reser will continue her scholastic softball career at Linfield College in McMinnville. Olivera was a key power hitter for the Timberwolves this past season. She belted a team-high eight home runs, which tied her for the school's single-season record with Holly Ray (1998) and Hannah Self (2016). Olivera also drove in a team-best 37 runs in the 2017 season. Tualatin junior Megan Woodward was a second-team Class 6A all-state pick as a pitcher. For the season, Woodward had 15 wins in the circle, while striking out 133 opposing batters and putting together a 1.74 earned-run average. Timberwolf senior Sammi Caron was a second-team all-state pick at catcher. Caron, who attended Horizon Christian High School, along with Reser, were the only two seniors on the Tualatin roster this past season. The young Tigard softball team, which had just one senior on its roster, while going 19-7-1 on the season, was also represented on the Class 6A all-state softball list. Tiger freshman Emily Paulson was a third-team all-state selection at catcher. Tigard junior Ashley Davis, the Three Rivers League Pitcher of the Year for the 2017 season, was a Class 6A all-state honorable mention pick. For the season, Davis picked up 19 wins in the circle, while striking out 133 opposing batters and putting together a 2.23 earned-run average. Glencoe junior Ashlyn Bailey was named the Class 6A Player of the Year. Gresham senior Shianne Smith was named the Class 6A Pitcher of the Year. Mike Mayben, of the state champion North Medford squad, was tabbed the Class 6A Coach of the Year. On the baseball side, the Tigard team, which went 19-9 on the season, had three players earn Class 6A all-state honors. Leading the way for the Tigers was senior Brett Thomas, who was a second-team Class 6A all-state selection as an outfielder. Thomas, who will play college baseball at Whitworth University in Spokane, Wash., shined for the Tigers in the outfield, on the mound and as a left-handed hitter for the Tigers in the 2017 season. Tigard senior Taylor Ott was an honorable-mention Class 6A all-state pick at pitcher. Ott, who stepped up for the Tigers in Three Rivers League play, had a 0.41 earned-run average for the season. Tigard senior Parker Kuntz, who opened the season at second base, moved to catcher and earned Class 6A all-state honorable-mention accolades at that position. Sherwood senior Harrison Grow was a second-team Class 6A all-state selection as a utility player. Grow played at first base, and in the outfield, while also pitching for the Bowmen during the 2017 season. He also was a big-time power hitter for Sherwood, blasting two home runs in a road win at Canby and two more in a home victory over Lake Oswego. Tualatin junior shortstop Kyle Dernedde was a Class 6A all-state honorable-mention pick as an infielder. Centennial senior outfielder/pitcher Dawson Day was named the Class 6A Player of the Year. Century senior Kolby Sommers was named the Class 6A Pitcher of the Year. John Arntson, from the Class 6A state champion Clackamas team, was tabbed the Class 6A Coach of the Year.